For some NoteTab is simply the best Notepad replacement out there. 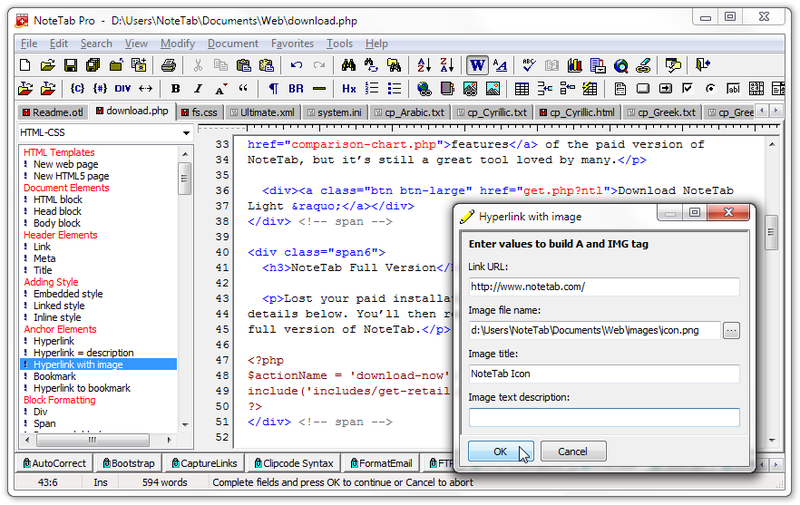 For webmasters its the fastest HTML editor. For others its the most versatile text editor. For power users its a unique text-processing work horse. What will it be for you? NoteTab has won awards from PC Magazine, PC World and WUGNET. Its also won the Shareware Industry Awards 3 times. But were especially proud of our 6 Peoples Choice Awards.